Intelligent Armour Multicam Field Gear is all made in the UK to the highest possible standards using military specification materials. All IA Multicam Field Gear products are designed to make life easier for soldiers when out on operations. If you have an item that you wish us to make out of Multicam, please contact us to discuss options and design. Here at Intelligent Armour, once in a while we get asked to make an item that we just can't believe that no one has made very well and put some real effort into producing. 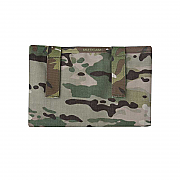 The iPad Mini Travel Case, Multicam is manufactured from Crye 2-way stretch NanoSphere 40D Multicam fabric; is water resistant and padded to protect your iPad during travel. Plus lined with Potomac Field Gear's Advanced Protective Fabric for that extra protection! IA Multicam iPad Travel Case, because soldiers needed one! 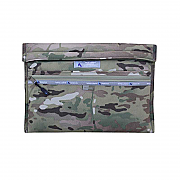 The IA Multicam iPad Travel Case is manufactured from Crye 2-way stretch NanoSphere 40D Multicam fabric; is water resistant and padded to protect your iPad during travel. Plus lined with Potomac Field Gear's Advanced Protective Fabric for that extra protection! 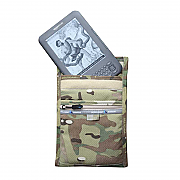 The IA Multicam Blackberry playbook case is a great eReader and tablet protection for soldiers. 20cm tall, 15cm wide, water resistant and padded for extra protection; the Multicam Blackberry playbook case is made in the UK from Crye 2-way stretch NanoSphere 40D Multicam fabric. 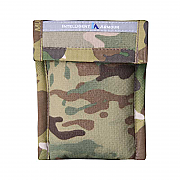 The IA Multicam Kindle Case is an ideal companion to your Kindle. 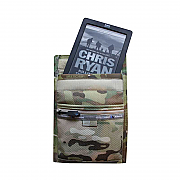 Manufactured by Intelligent Armour in the UK from Crye 2-way stretch NanoSphere 40D Multicam fabric; the IA Multicam Kindle Case is water resistant and padded to protect your Kindle during travel. Total internal size: 20cm tall, 15cm wide. 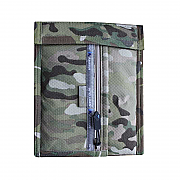 The IA Multicam Nexus 7 Travel Case is an ideal companion for your Google Nexus 7 Tablet. Manufactured by Intelligent Armour in the UK from Crye 2-way stretch NanoSphere 40D Multicam fabric; the IA Multicam Nexus 7 Travel Case is water resistant and padded to protect your Nexus 7 during travel. Samsung Galaxy 10.1 Multicam Travel Case, because our friend Yosser wanted one! The IA Samsung Galaxy 10.1 Multicam Travel Case is manufactured from Crye 2-way stretch NanoSphere 40D Multicam fabric; is water resistant and padded to protect your Samsung Galaxy Tablet during travel. Plus lined with Potomac Field Gear's Advanced Protective Fabric for that extra protection! 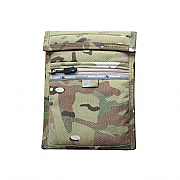 The IA Multicam Kobo Case, ideal for travelling soldiers. With a Velcro closure flap to secure the Kobo in place and with two external pockets, the IA Multicam Kobo Case will carry not only your Kobo securely, but also your charging cable. Manufactured by Intelligent Armour in the UK from Crye 2-way stretch NanoSphere 40D Multicam fabric; the IA Multicam Kobo Case is water resistant and padded to protect your Kebo during travel. Ideal for travelling soldiers or for those down times. Designed for the Nook Simple Touch, the Intelligent Armour Multicam Nook Simple Touch Case is made in the UK using Crye Multicam 2-way stretch NanoSphere 40D Multicam fabric; the IA Multicam Nook Touch Case is water resistant and padded to protect your Nook during travel. Ideal for travelling soldiers or for those down times. Total external size: 19cm tall, 16cm wide. Manufactured from Crye Multicam 500D Cordura and 0.35mm Clear PVC, (UV and wear resistant), the IA Multicam Map Case is strong, tough and water resistant.